This CloudCodes blog post is aimed at delivering guidance to G Suite business users who want to use Google password policy in their account. Several administrators put forward their queries regarding the same, therefore, here we came with this post. To develop a proper Google Suite and Cloud platform, G Suite directory and Google cloud identity management environments are needed. The vital purpose of service provider is to initiate an approach that delivers something more than a user management system. Most of the account admins face the situation where the identity management system of Google is not getting originated with other business assets. This becomes a huge trouble for administrators at the time of dealing with Google apps password policy and users friction. Well, things can be made easier by imposing Google password policy in business account. Go through the guidelines provided in upcoming sections and implement them in super G Suite admin account! Important Note – It is impossible to view password length and strength in case hashed security password through API is used. It is so because data such kind of scenario is not present that leads to zero value of password’s length. The admin will be able to see only a blank grey colored bar with no significance of it. An application named as G Mobile management app is rendered by Google to simplify the load of business owners. It ensures data security to the content, which is accessed by employees from external network. Administrators will be able to ensure that ‘managed set of devices are under complete protection through a strong set of passwords, which fulfills a preexisting set of Google apps password policy.’ It is applicable only for the online apps or services, which are associated with the workstation network because it’s about business data security. Basically, it renders a way to simultaneously secure personal data of employee and enterprise secretive content, stored on the Google cloud. Google account administrators can use this G Mobile management system simply by clicking on Device Management >> Password from the main admin console page. They are free to define the set of password for any of the managed devices and can define a particular set of G Drive password policy to be fulfilled by end users. Remember one thing ‘this Google apps password policy for mobile is applicable only for smartphones having Android 7.0 or above editions’. Google password policy is simple to achieve a basic level through the guidelines provided in this post. Apart from this, if enterprises desire to get advanced level of protection through these policies, the only option is to opt for security-as-a-service(SaaS) vendors. 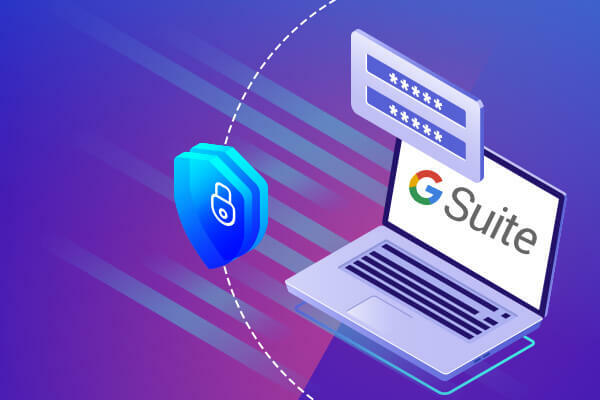 One such service provider is CloudCodes that renders G Suite password policy service to ensure Google business account protection at advance level.